Maud Green was born circa 1493. 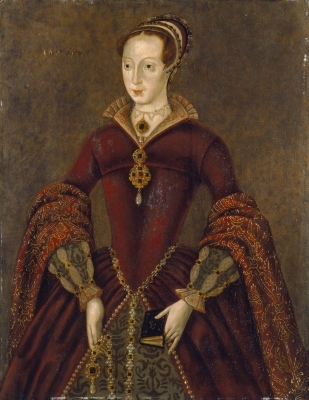 She was the daughter of Sir Thomas Greene and Joan Fogge.1 She married Sir Thomas Parr, son of Sir William Parr and Elizabeth FitzHugh, circa 1508. She died on 1 December 1531. From circa 1508, her married name became Parr. Mary Seymour was born on 29 August 1548.1 She was the daughter of Thomas Seymour, 1st Baron Seymour of Sudeley and Catherine Parr.1 She was also reported to have been born on 31 August 1548. 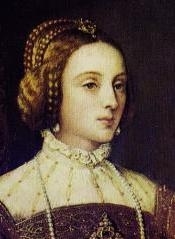 She died on 5 September 1548. [S4172] Unknown author, "unknown article title", Notes and Queries : volume 55, no. 2, page 146-148. [S11] Alison Weir, Britain's Royal Families, page 159. [S18] Matthew H.C.G., editor, Dictionary of National Biography on CD-ROM (Oxford, U.K.: Oxford University Press, 1995), reference "Dudley, Lady Jane, 1537-1554". Hereinafter cited as Dictionary of National Biography. Philip, who was styled King of Naples and King of Jerusalem by his father, was given the title King of England. However, he hated everything about England - the climate, the food and the people. 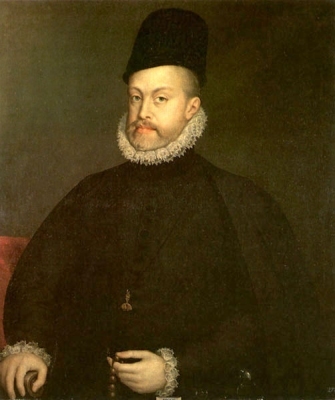 A little over a year after the marriage to Mary, he left and returned to Spain. Mary saw him only once more, for a few weeks, in 1557. 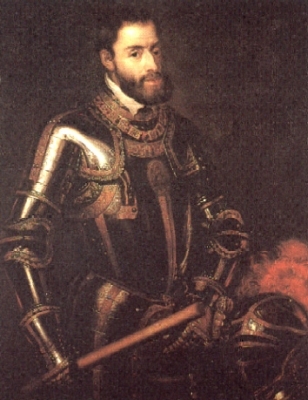 In 1588 as King of Spain, he organised the Spanish Armada with two objectives in mind - to re-establish Roman Catholicism in his former wife's Kingdom and in Holland, and to protect Spanish trade with America. On 28th July, a Spanish Armada (fleet) of 130 vessels sailed up the Channel. The English fleet had faster ships and guns with longer range and defeated the Spanish. [S11] Alison Weir, Britain's Royal Families, page 161. [S45] Marcellus Donald R. von Redlich, Pedigrees of Emperor Charlemagne, I, page 57. King Henry III and Simon quarrelled, and Simon defeated King Henry's army at Lewes in Sussex in 1264, making Prince Edward a prisoner and hostage. Simon's triumph was brief, however. Edward escaped, raised an army and defeated Simon at Evesham in 1265. Simon was slain in battle at Evesham. In his year of power, however, Simon had summoned a 'parliament' or conference of his leading supporters, and, by an innovation not repeated until 1295, also two burgesses and two knights from each of a number of boroughs and shires. This parliament was not meant to provide a substitute for royal government. Simon was not opposed to that, but he wanted tom see strong government. Had he lived, he would have seen how apt a pupil Prince Edward was. [S6] G.E. Cokayne; with Vicary Gibbs, H.A. Doubleday, Geoffrey H. White, Duncan Warrand and Lord Howard de Walden, editors, The Complete Peerage of England, Scotland, Ireland, Great Britain and the United Kingdom, Extant, Extinct or Dormant, new ed., 13 volumes in 14 (1910-1959; reprint in 6 volumes, Gloucester, U.K.: Alan Sutton Publishing, 2000), volumec VII, page 543. Hereinafter cited as The Complete Peerage. [S6] Cokayne, and others, The Complete Peerage, volume III, page 171. [S6] Cokayne, and others, The Complete Peerage, volume III, page 170. 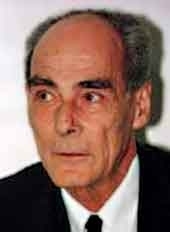 Andrej Karageorgievich, Prince of Yugoslavia was born on 28 June 1929 at Bled, SloveniaG.2 He was the son of Alexander I Karageorgievich, King of Yugoslavia and Marie von Hohenzollern-Sigmaringen, Princess of Romania. He married, firstly, Christine Margarethe Prinzessin von Hessen-Kassel, daughter of Christoph Ernst August Prinz Major von Hessen-Kassel and Sophia zu Schleswig-Holstein-Sonderburg-Glücksburg, Princess of Greece and Denmark, on 1 August 1956 in a civil marriage, They were remarried the following day in a religious ceremony.2 He and Christine Margarethe Prinzessin von Hessen-Kassel were divorced in 1962.2 He married, secondly, Kira Melita Feodora Marie Viktoria Alexandra Prinzessin zu Leiningen, daughter of Friedrich Karl Eduard Erwin VI Fürst zu Leiningen and Mariya Kirillovna Romanov, Grand Duchess of Russia, on 18 September 1963 at Langten Green, Kent, EnglandG, in a civil marriage.3 He and Kira Melita Feodora Marie Viktoria Alexandra Prinzessin zu Leiningen were divorced on 10 July 1972 at Frankfurt-am-Main, Hessen, GermanyG. He married, thirdly, Eva Maria Andjelkovich, daughter of Milan T. Andjelkovich and Eva Jovanovich, on 30 March 1974 at Palm Springs, California, U.S.A.G.3 Andrej and Kira Melita Feodora Marie Viktoria Alexandra were also married in a religious ceremony on 12 October 1963 at Amorbach, Bayern, GermanyG. He died on 7 May 1990 at age 60 at Irvine, California, U.S.A.G, committed suicide.